From Monday 11th – Thursday 14th July you can train for 21/2 hours each morning and afternoon, over the four days, allowing 10 hours intensive training, each morning and afternoon, working on 2 separate disciplines (1 each from A and B) for 5 hours per day in total. These choices are divided into sections – A & B, please select one from each category. 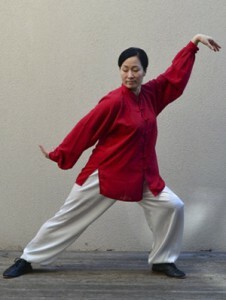 This is a very short and complex solo moving sequence, created by Master Lau Kung King. It provides excellent material to be applied directly into Pushing Hands. Either fixed pattern, or free play these exercises contain the typical flavor of “Huang – Taiji” expanding on principles of Taijiquan, White Crane & Luohan fist. 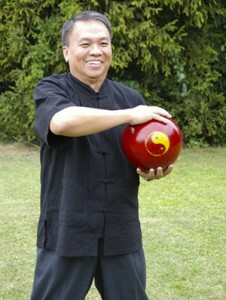 Master Lau will also teach the famous five loosening exercises, which contain the essence of Huang’s Taiji and their applications. Keen beginners to advanced practitioners. Taiji philosophy pervades all aspects of Chinese culture and Chinese internal arts and calligraphy are two areas where one practically investigate this philosophy. This workshop goes to the root of this philosophy and by working with core exercises from Calligraphy, Taijiquan and Qigong we will learn interesting correlations that are present, but often overlooked. Ideal for anyone who wants to know more about the essence of Chinese culture, the base of the different moving arts. The Taiji sword is a truly devoted partner, always ready to a deeper understanding and better embodiment of Taiji principles. 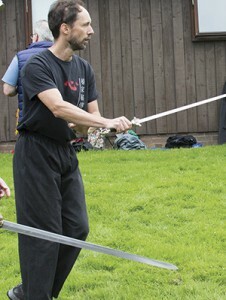 In these workshops we’ll explore the principles of Taiji Swordplay, appropriate to all styles. 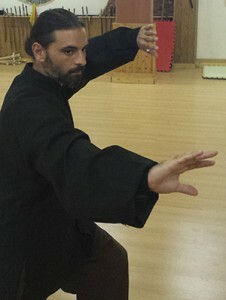 Starting from basic techniques, to more advanced concepts, applying the Taiji classics: handling and wielding the sword, cuts and thrusts, footwork and nimbleness, building a partnership with your sword, parallel between tuishou and swordplay, etc. Solo forms are the basis of all tai chi training but by doing partnerwork you can extend your understanding of key tai chi principles such as structure, sensitivity, relaxation, focus and spontaneity. Many practitioners either don’t get the chance to work with others or have concerns about venturing into the unknown. Emma offers a safe, gentle and creative platform to extend your understanding of tai chi through working a range of partner exercises and routines. Helmut has kindly offered to teach this in Ronnie’s place so it is still available on the programme. It was at Helmut’s that Ronnie learnt this set where they both worked directly with, and were certificated by, the creator of these systems (Lin Housheng). 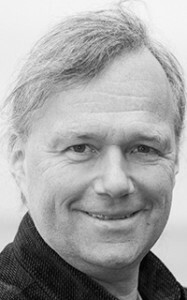 We are delighted Helmut is able to introduce this 3rd set to the UK. 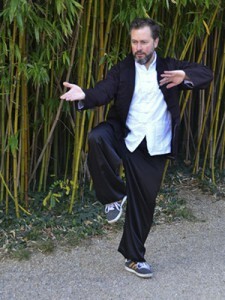 The theory of 8 fundamental forces and 5 steps is at the core of taijiquan. We’ll work with a short sequence for training these essential principles, which we will integrate immediately into Pushing Hands. 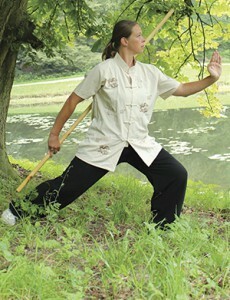 You will develop a clear path and a deeper understanding of the fundamental forces of taijiquan. Beginners can learn the core elements of Taijiquan, while advanced practitioners can meet interesting training methods and further combinations to a deeper understanding. Over the course of the week GB will be offering a holistic approach to the internal arts working with 5 animals qigong to develop posture, balance, presence and intent. Push hands to increase focus, train rooting, evading etc. Students will then progress to train Self Defense application with close distance fighting, qinna (joint locks) and techniques to improve guard stance and combat counter-attacks.